Want to be your own boss by setting up a groundnut oil processing plant of your own ? Come and join us . KMEC is a company that occupied in the groundnut oil processing plant and other oil processing business since 1990. We are expert in designing, installing and exporting of a variety of edible oil processing plant especially in groundnut oil processing plant . 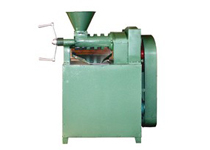 1.Machinery is suitable for crushing all types of oilseeds besides groundnut whether edible for getting cooking oil or non edible. 2.Decorticator has special provision for shelling groundnut for seed purpose without breakage. 3.Yield of groundnut oil is as high as much because of highly scientific worm sequence inside the chamber cage. 4.Maintenance expenses are negligible. Diesel consumption in engine is only 1 litre per hour. 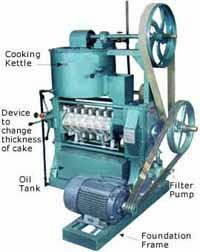 5.Technology is so simple that person can be trained only in 3 days to operate the mill. 6.Video cassette is provided with every export export to explain operation, maintenance, names of components, dismantling, assembling etc. 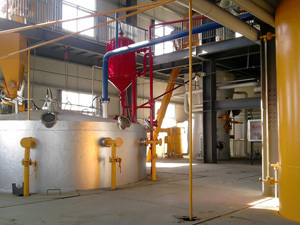 For any question or information ongroundnut oil processing plant, feel free to contact us .We are always at your service.